renowned to be fearless, so one night he accompanied the muleteers. to the them: "Go tell what Bterram’s priest did to you." "Are you related to Bterram’s priest?" you related to Bterram’s priest?" 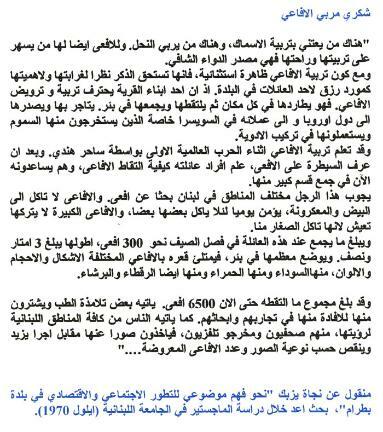 Once, a painter, Mr. Wehbe Salem, was painting the house of one rich man, Mr. Adib Salem. fast, while singing "ya howayda el-lowayda lak," thus urging the painter to work faster. back the next morning to resume their work, only to find everything they had built undone! 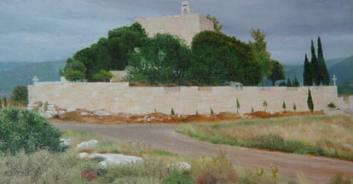 "Wassal lil kharrubi wa rigi' "
Painting of Assaydi church ... the artist's name?